Full Time RV Living With Kids – 1 Year In! 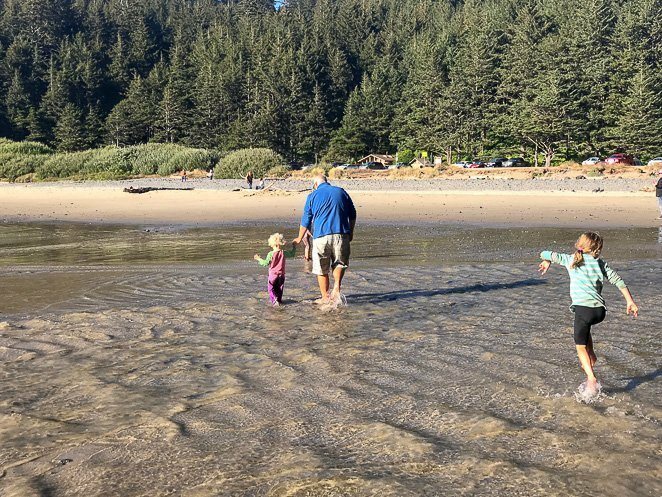 Traveling with kids seems daunting for many of us…yet that dream of the epic family road trip has us yearning for more. 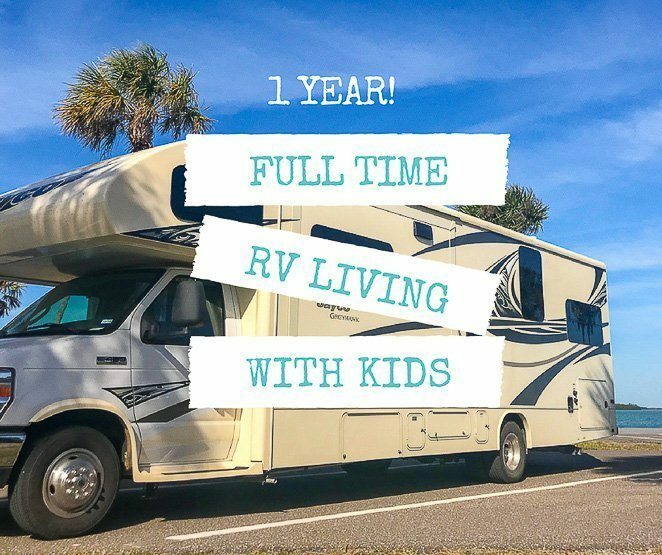 It was our dream long before we made it happen, and now I’m looking back on our first amazing year of full time RV living with kids. Has it really been 1 whole year of traveling full time? Did we really just visit 30 states in the last 12 months? Honestly, time has just flown by this past year! 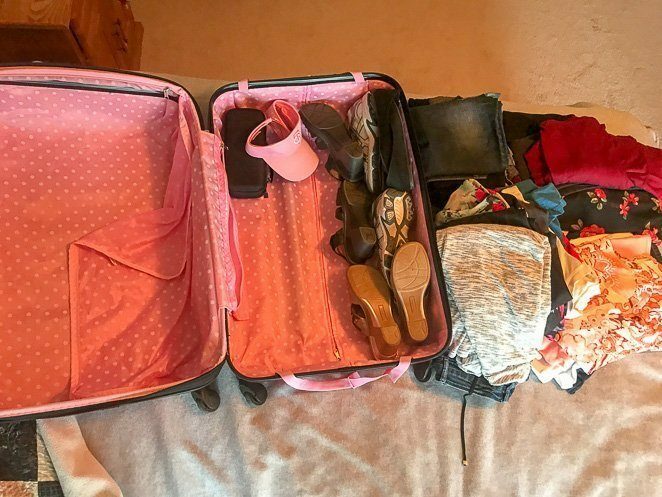 When we decided to travel full time as a family, the planning and preparation process went VERY quickly. We then hit the road in our 33-foot class C motorhome and began our adventure. And now? Now we celebrate our first 1 year nomadiversary! I didn’t realize that ‘hitting the road’ meant that I would have so very little time to actually plan and think through all the places we wanted to see and visit. You see, when you plan a family vacation, you have weeks and months to research, look ahead, plan, and choose your path. Scrap The Planning...Let's Dive In! 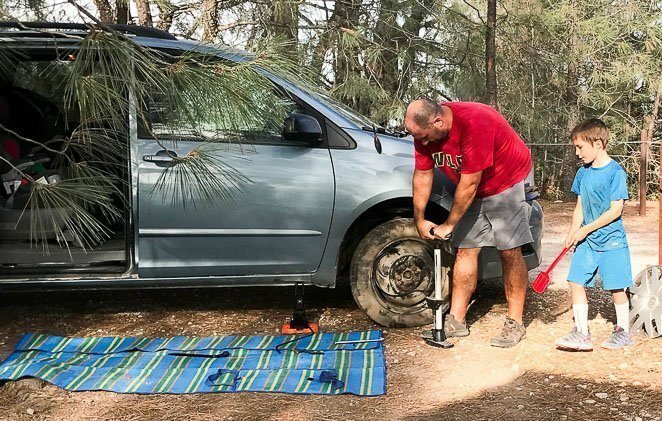 Never Plan Primitive Camping Without An Air Compressor! Always Keep A Change Of Clothes For The Kids In Your Van. Healthy Snacks....Learn To Love Them! Always Keep This Vitamin On Hand To Boost Immune Systems! Plan For ‘Down Days’ As A Traveling Family. The Best FREE And Fun Activity In Any State....Playgrounds! Pack Less Stuff.....Honestly You Don’t Need It All! Bring Jumper Cables On Road Trips - Kids Will Leave Lights On! Will We Continue To Travel? Yet, when you travel full time with kids, you do not have the luxury of ‘extra time’. 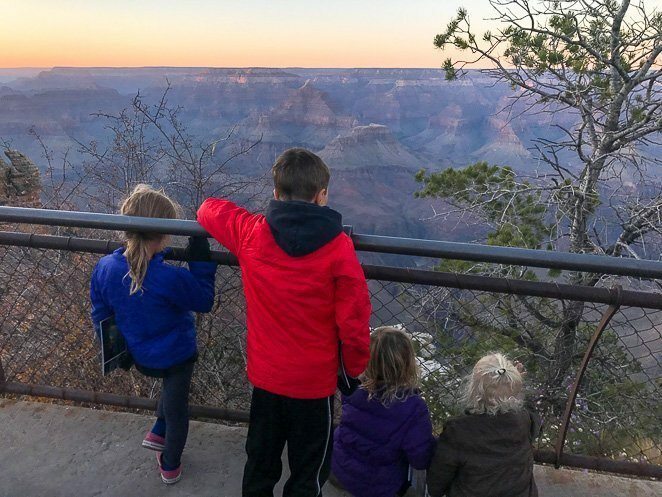 Because you are actually at the Grand Canyon looking over the rim and seeing the look of wonder on your children’s faces. I didn’t read an entire book on the Grand Canyon before heading there with the kids, because just beforehand we were at Arche’s National Park and Canyonlands National Park. Instead, we learned in the moment and began to really LIVE in the moment. This was a hard concept for me to grasp, being the planning mom that I am. 🙂 Yet, during this 1 year of full time RV living and family travel I have learned to become so much more flexible. Flexible with our schedule, flexible with who does the planning, flexible about how we spend our money, flexible about what hours I teach online, flexible about how our children learn, flexible about so many things. It’s the flexibility that has helped me grow as an individual. That self growth that I HOPED would come with our traveling lifestyle, actually happened! Not only am I feeling so much more flexible, I am witnessing the flexibility in my children and my husband. As much as routines used to run our lives, the opportunities we must have missed without being as flexible as we are now makes me a bit sad. Yet, I’m okay with it. We needed to learn this new skill of flexibility, and what better way than to travel full time across the country?! The flexibility has been great, yet there are times when I wish I had done something different. Don’t get me wrong, I am happy we had some crazy experiences to LEARN how to be flexible. It's totally okay to tailgate in a Walmart parking lot right? Yes, it really is! 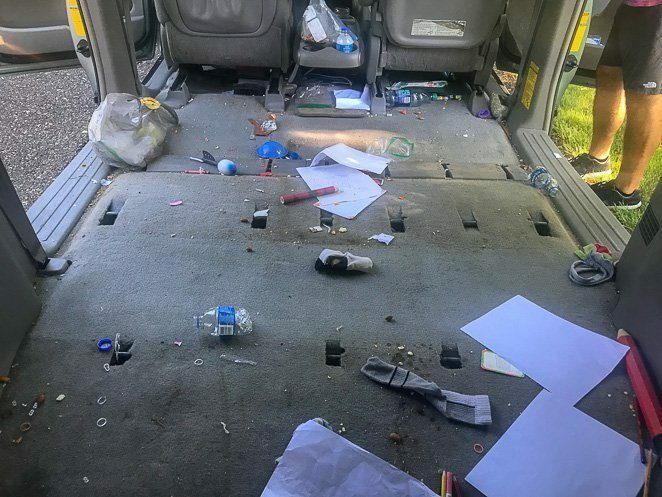 We have been known to grab a rotisserie chicken on our way out and eat lunch in the back of the van before bringing the groceries back to camp. It's a great way to save money on eating out costs. Click here to learn about our full-time RV living budget. 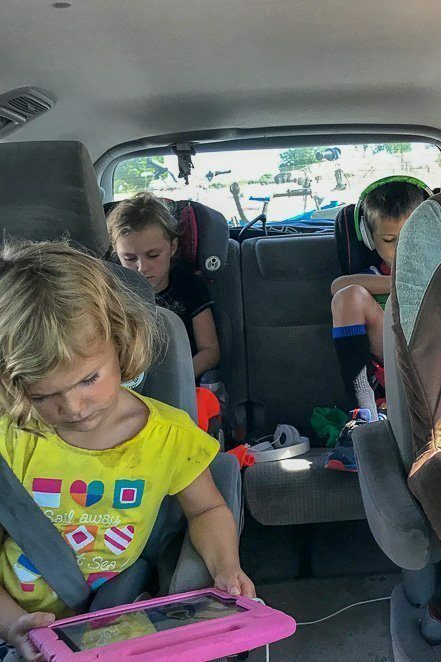 Just face it, if you are road tripping with kids you will NOT have a clean car. Crumbs, toys, papers, pencils, charging cords for iPads, water bottles, banana peals....need I say more? A flat tire up the side of a mountain, 45 minutes away from any tire shop, means you will need to find a way to fix the problem yourself. I highly recommend bringing an air compressor in your RV with you if you plan any type of RV travel. You never know, you may want to stop by the beach on the way back to camp and run around! Or, you may have an experience like I did in California last summer. You could be running up the sidewalk in a major city with your toddler in arms and 3 kids following to try to make it to a bathroom in time, to find out you did NOT make it in time! It was rough. Than to find out that you not only lack a change of clothes for yourself, but also for the toddler! Needless to say, you can always find a way (we bought an adult t-shirt and used my belt to make a dress on our 2 year old at the time) but I do not recommend it. Snacks will keep your kids less cranky and Mom and Dad's patience won't wear down too easily. Additionally, we often pack picnic lunches or dinners to eat along our journey. 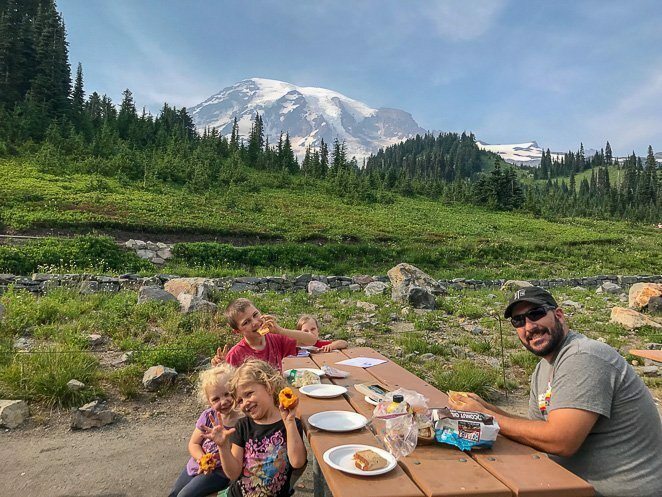 Our soft-sided cooler is used daily during our family travels, such as here at Mount Rainier National Park. Traveling in an airplane is often associated with sharing germs. Yet, full time RV travel also brings along many opportunities to pass or 'catch' germs. Think about the exposure your family is getting visiting all sorts of public places in different states, cities, countries. You get the picture. 😉 I always keep this vitamin on hand and our entire family will take it down mixed with honey or water any time we are exposed to illness. Whether you are planning a 1 week family vacation or a 90 day road trip, you will all need days that are not scheduled or planned out. Take them. It will make the fun and exciting days THAT much better, and allow everyone to catch up on sleep and recharge a bit. Honestly, when my kids see a new and exciting playground they go nuts! As long as the weather is great for outdoor play, we often seek out a playground to get the wiggles out and meet other kids. Fill them up daily, stay hydrated, and keep the costs down on drinks for the family. It is totally worth the investment to buy a reusable water bottle for each family member on a trip. Try not to stress too much about screen time when it comes to traveling with kids. iPads and tablets can be a great way to help keep the kids AND parents happy on travel days. Just put some great educational apps or audiobooks on them before a travel day and your kids will be entertained for 30 minutes (or more if you are lucky). You can always buy an extra hat if your child loses his, no need to pack 2! Yet, do not forget the basics like swimsuits and a hairbrush. Especially if your kids have sensitive heads and require this amazing brush that we cannot live without. We keep 2 of these brushes in our RV at all times. 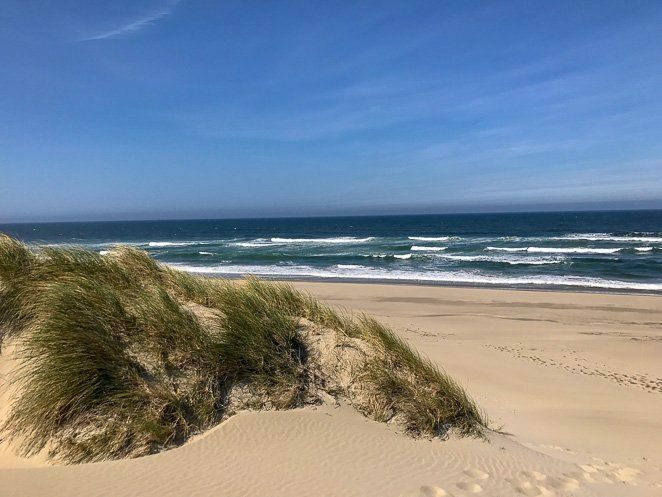 It really stinks when you are planning a hike at a National Park or a beach day in St. Augustine and arrive to find out it's a bit windy and chilly. Needing jackets or sweatshirts when your kids are wearing shorts or swimsuits can sure make for some miserable experiences. Speaking of weather, pay attention to the region's typical weather patterns for the time of year you plan to travel there. For instance, did you know that hurricane season in the Gulf of Mexico lasts from June to November? Or that there is actually a forest fire season in the Pacific Northwest? Full time RV living requires set up and take down of your house pretty regularly. We have allowed our kiddos to play in the van (without the keys), when we doing the RV tasks. It's helped keep them within our sight, yet out of our way for a short time. Man, did we pay for that when we realized that they had been in the van a while and killed the battery! Jumper cables are a necessity on any road trip. Having a routine for everyone in the family, even if you are constantly traveling or have a long trip planned, can really help decrease the tantrums and mood swings. It could be bedtime routine, or a Monday morning family meeting each week. It helps everyone in the family have some regularity when life is every changing. I call it a time to 'just be'. Enjoy the view, relax on the beach or in a lounge chair by the pool and put your camera or iPhone down. Watch your kids play and enjoy the moment. You do not ALWAYS have to be doing something exciting, or taking photos of every moment. We enjoy making a game out of seeing who can remember the capital of the state we are in, or any other fun facts about it. It can really be a fun, yet educational, experience to talk about your family travel plans. When you see signs that say 'Beware of Bears' or another sign that says 'Carry Bear Spray'....than please do! We spent 2 weeks in Glacier National Park and I went roller blading by myself (I know, it seems so 1980's, but it was fun!) and came across this mama bear and her 2 cubs!! 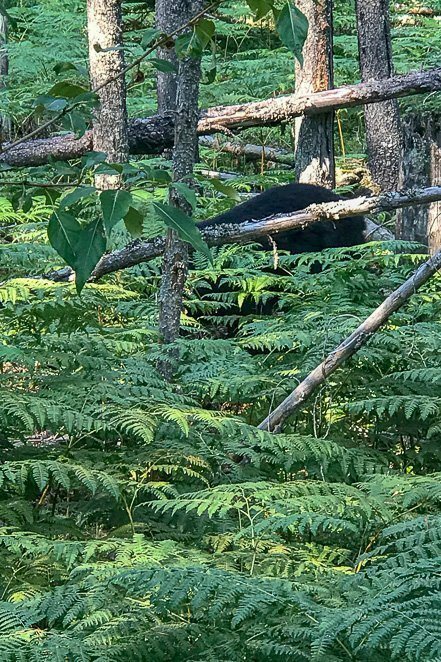 I DID have my bear spray on my hip...and my phone to grab a quick photo before getting far away from this mama. We try to be frugal and smart with our money. 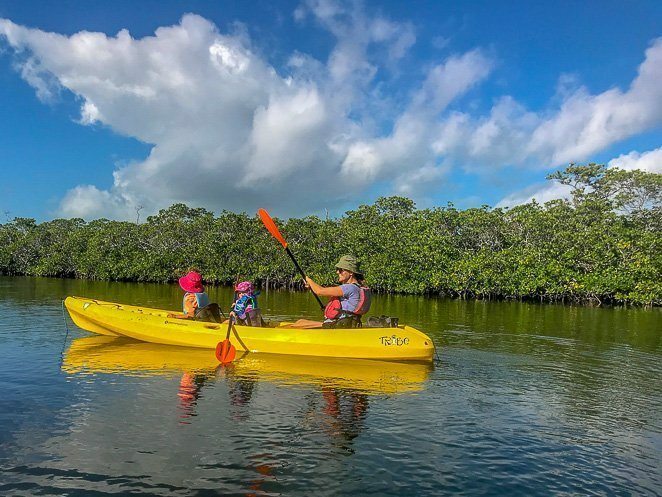 Choosing experiences and destinations that allow our family of 6 to enjoy ourselves without breaking the bank. Yet, when we allowed ourselves to spend more money than usual on 1 day of AMAZING fun and FANTASTIC memory-making at Disney, we did not regret it one bit. 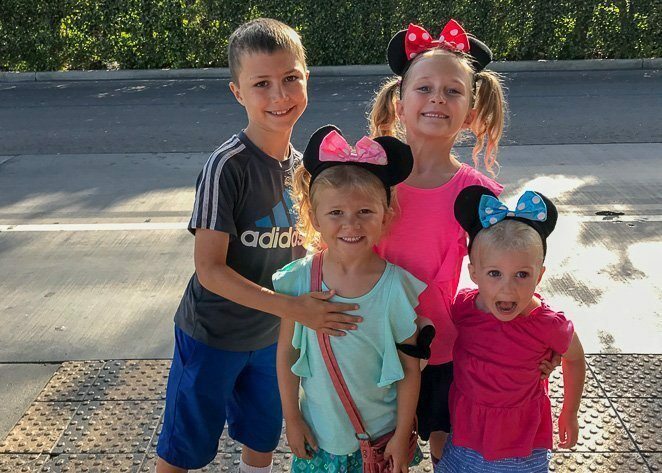 All 6 of us LOVED our day at Disneyland, and cannot wait to go back! 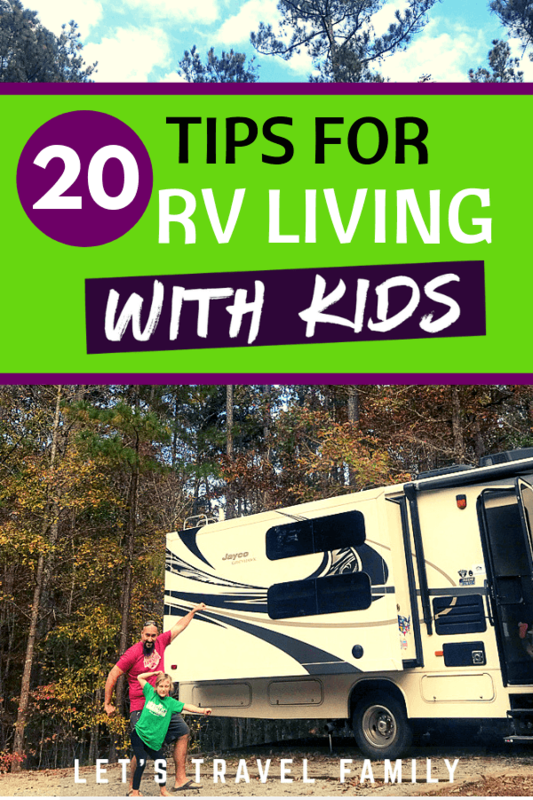 There are some additional things we have learned along the way that are more specific to full time RV living with kids. 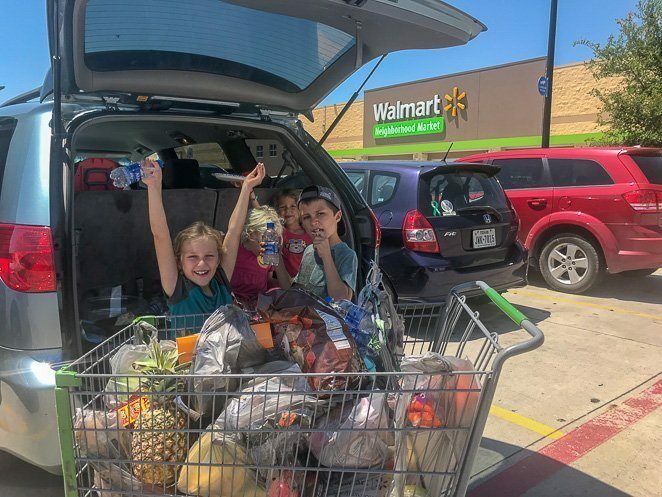 Our family has not only learned what living in a motorhome and traveling full time with kids is like, but we have learned so much by living the family RV lifestyle. Including working on the road. Living in an RV requires specific gear and items to function. 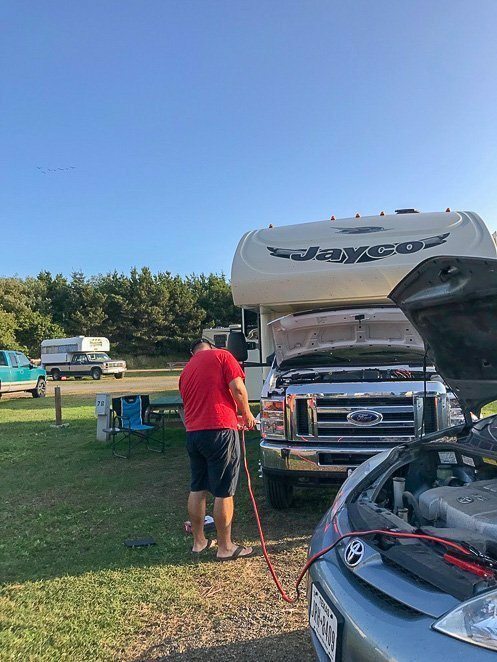 From a sewer hose to an EMS surge protector, you need to check out this list of things that you MUST HAVE to live in an RV. 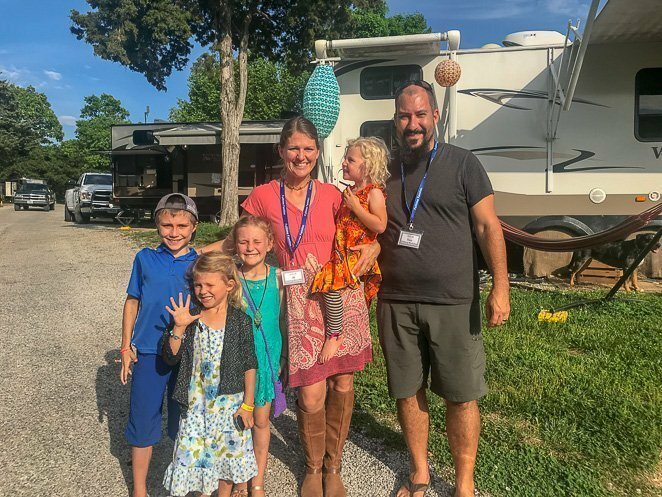 My biggest take-away from our first year living as a full time RV family is making connections and relationships with other traveling families. Once we connected with the community, we KNEW that this was a lifestyle we wanted to continue living. Tony and I, as well as the kids, all agree on this one. Once we attended our first rally, we decided that we wanted to sign up for as many as we could! The community that I'm talking about is great on Facebook and other social media sources. Yet, connecting IN PERSON was the turning point for us. 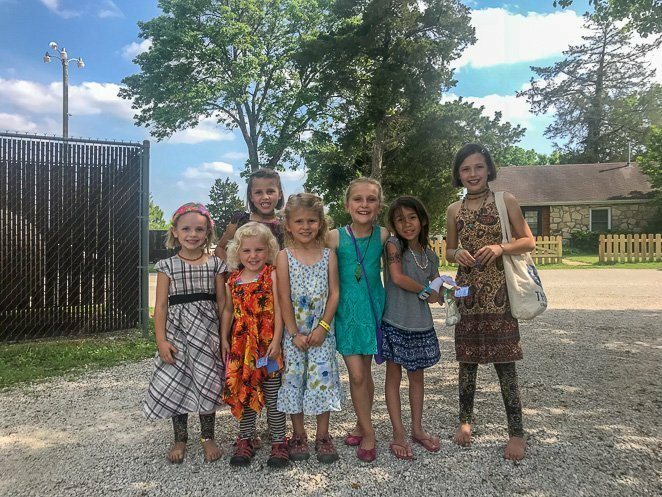 When you think about attending a Fulltime Families rally, think about a HUGE family camp for a week. Included are bon fires, coffee talks, seminars, car and rig washes, kids activities, potlucks, dance parties, and friend binging just to name a few. 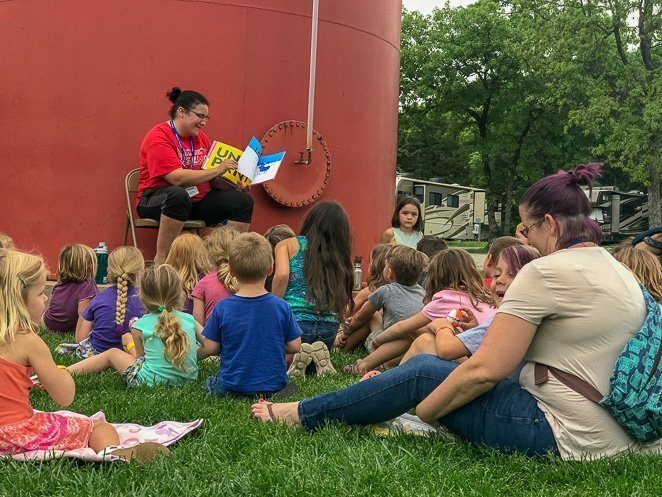 So, if you plan to travel in an RV full time with kids in North American, make sure that you sign up for a FTF rally. 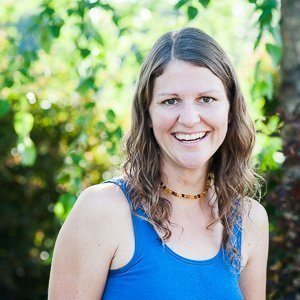 Now that it's been 1 year of full time RV living, we have learned to keep your monthly budget flexible. We no longer have 'rent' and 'electric' that's the same each month. Instead we have the ever-changing gasoline and campground fee's budget. Depending on the state we want to be in or the distance we want to travel that month, we may spend quiet a bit more than we did a previous month. The best thing we did when we started this full time traveling life, was include our kids in the decision making process. They had input and a say as to which RV we bought and how we were going to live. This way, they were excited about most of the process. As we celebrate our first 1 year 'nomadiversary', I am floored with how much our family has grown and learned. Coming back to Minnesota to visit our extended family and friends, is exciting and fulfilling. We of course love to spend time with everyone back where we launched our full time RV living lifestyle, yet we are not even close to 'being done' with our traveling adventures. If you want to hit the road and start RVing full-time with your family, start here to learn more. Or, if you want to continue to follow along on our traveling journey and learn from our experience, be sure to sign up for our newsletter. Also, like us on Facebook and follow us on Instagram. My goal this year is to make regular posts on our social media accounts in order to help inspire other families and encourage parents to live their dreams NOW! 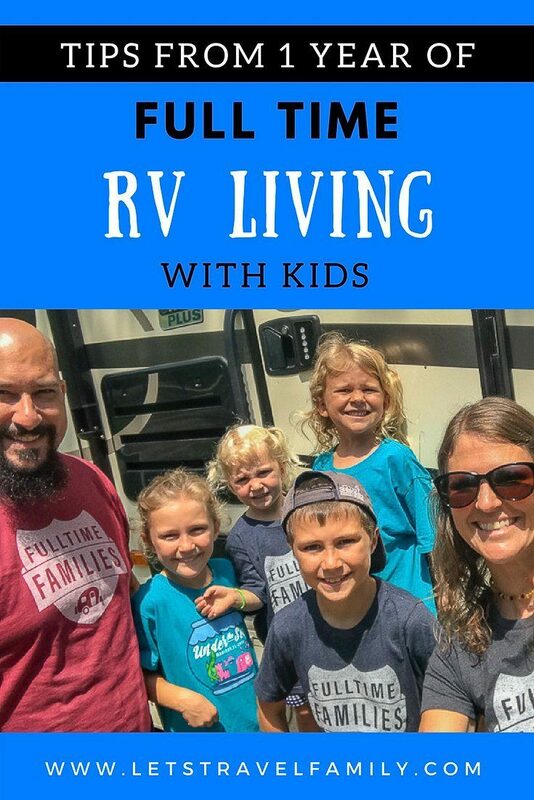 What other questions do YOU have about full time RV living with kids?